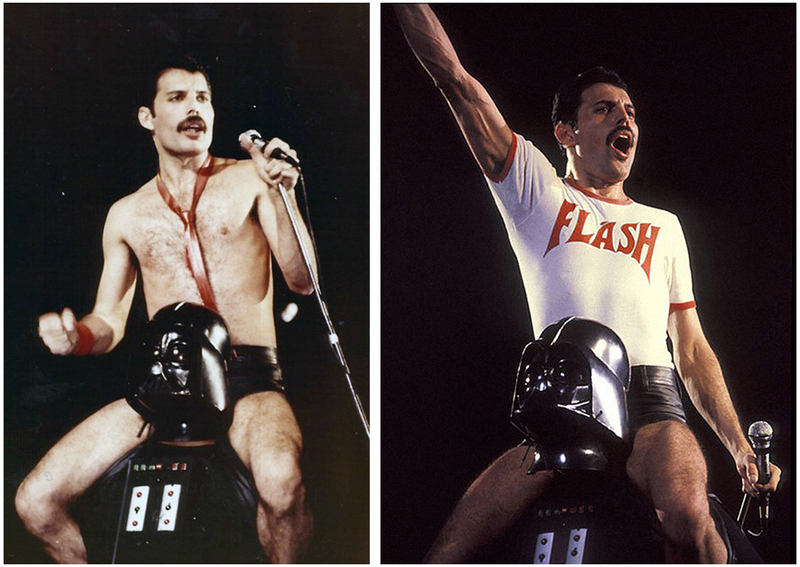 Freddie Mercury made this Flash Gordon superhero shirt pretty famous. 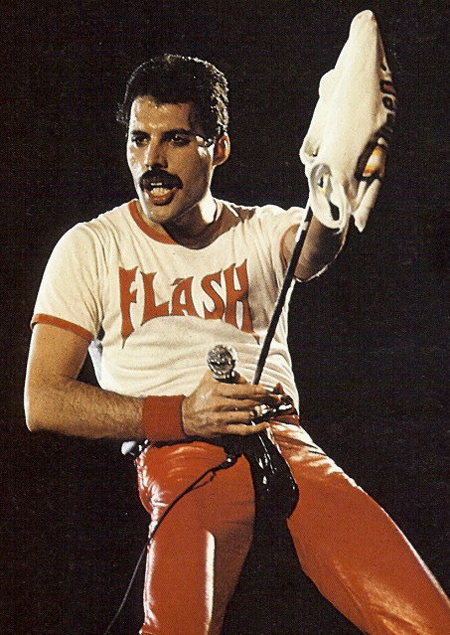 The Mercury superhero thing didn’t stop with that “Flash” shirt. 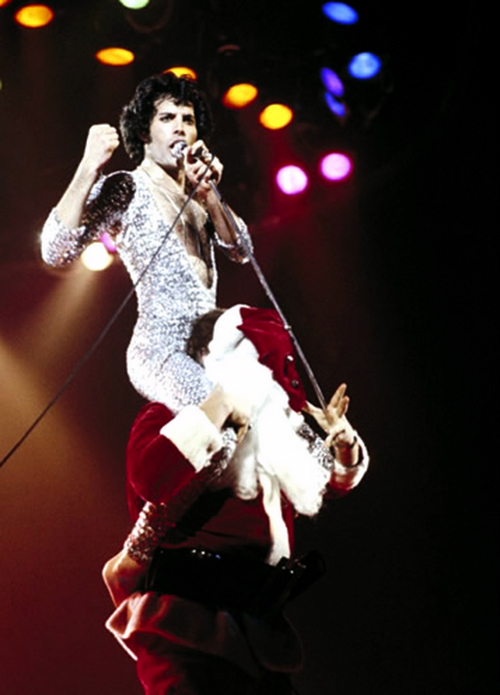 These photos below Mercury seemed to have somewhat of a superhero fettish. 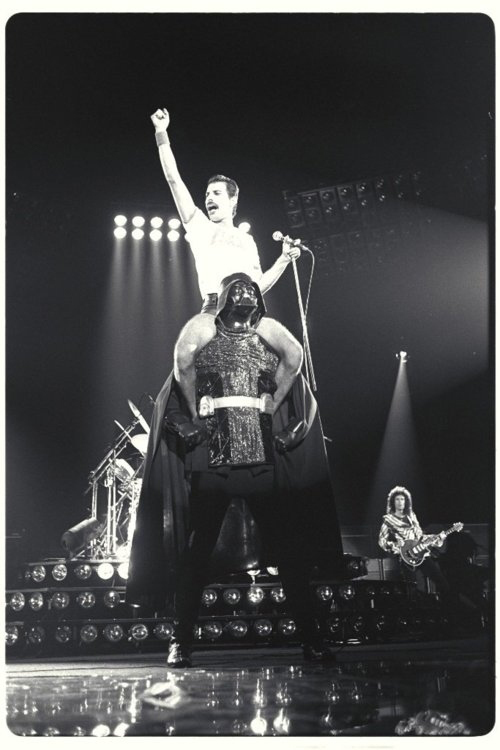 Check out these awesome photos of Freddie riding Darth Vader from Star Wars during a 1980 Queen tour stop. 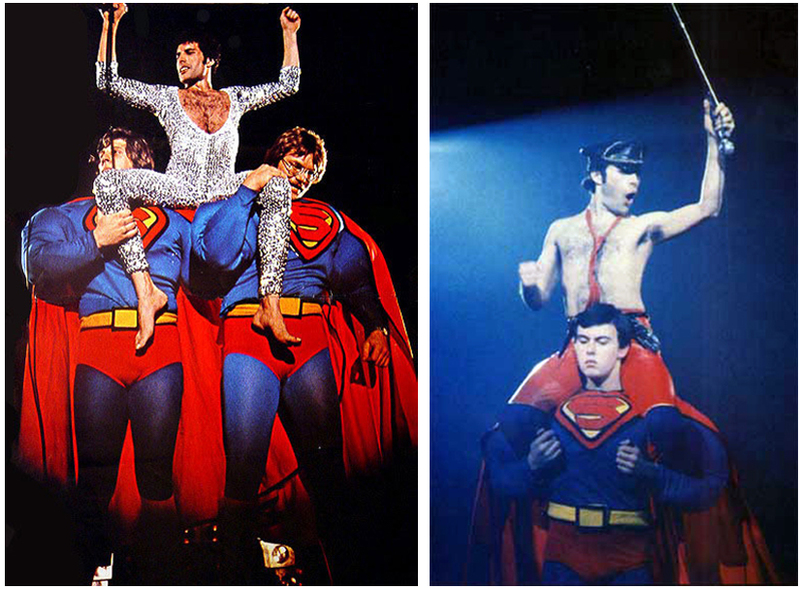 Here’s the awesome video evidence of Queen performing “We Will Rock You” in 1979 at the Hammersmith Odeon while Freddie is being carried by “The Man of Steel” Superman.